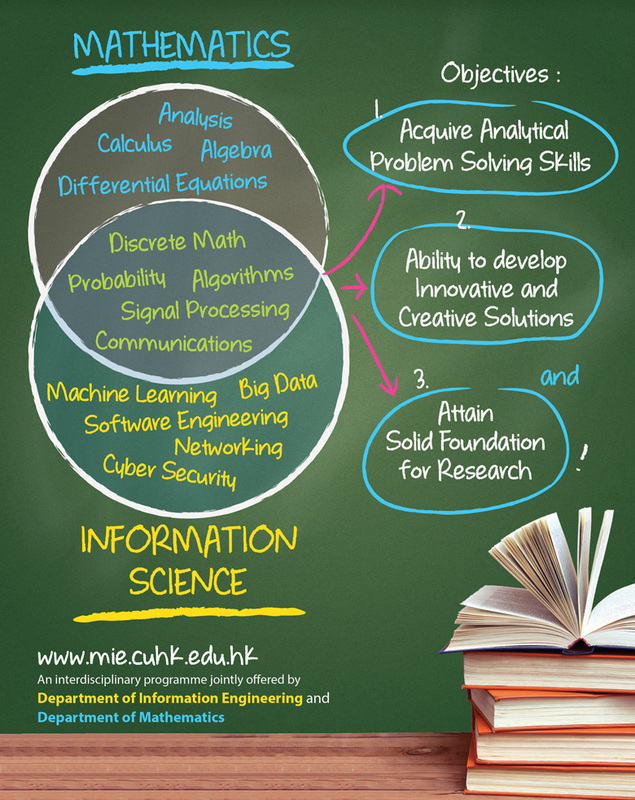 This demanding programme is designed to equip students with solid fundamental knowledge in information and computer sciences, and mathematics, providing a good foundation for further studies at the graduate school level or pursuing independent research or careers in various sectors. This is an interdisciplinary programme jointly offered by Faculty of Engineering and Faculty of Science, with Department of Information Engineering and Department of Mathematics being responsible for the management and actual running of it. [ New ] The Presentation Slides for Major Allocation Talk on 15 March 2019.